If sailing on the Caribbean doesn’t sound exciting enough, the SeaXplorer promises to take owners to some of the most remote places in the world. Places that have not been accessible before will now be just a leisurely yacht trip away. 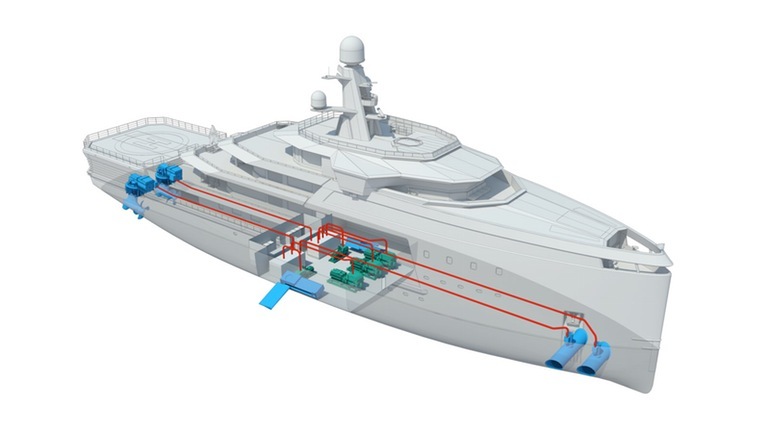 Dutch company, Damen Group, developed the SeaXplorer to be able to break through ice, with the possibility of even sailing in the Artic Ocean. Yet, if the cold is just not your thing, the SeaXplorer can also visit even the most remote, warm tropical areas. 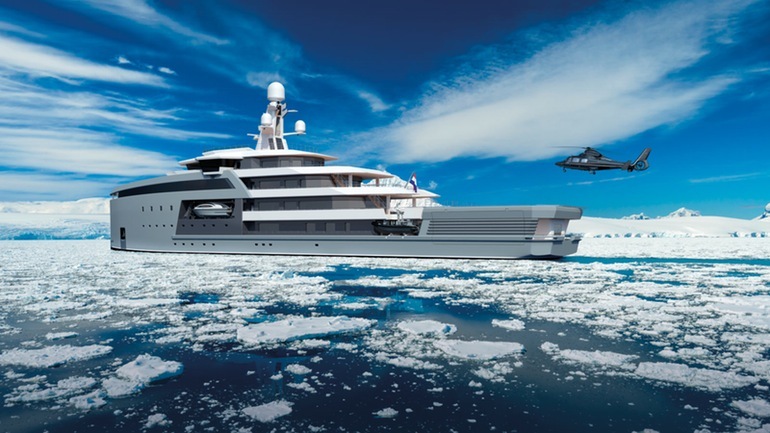 Firstly, the engineers behind the SeaXplorer needed to create an ice-breaking stern, something that does not exist on standard yachts. This ice-breaking stern can break through ice up to 35 inches thick, while the ship’s propulsive pods can turn it around 180 degrees and reverse the ship through the ice. Secondly, the SeaXplorer was engineered to remain self-sufficient on the water for about 40 days without the need to port – something that needed to be implemented into its design in order for the SeaXplorer to sail to remote, uncivilized places. We can imagine only the mega-rich will be able to afford this mega-yacht. 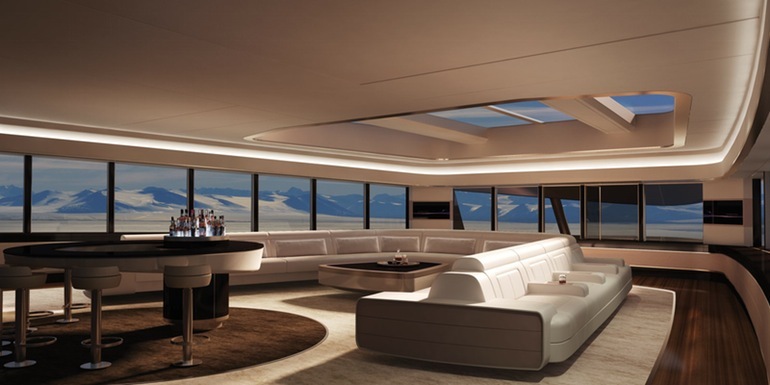 Those with large amounts of money will have the choice between three sizes of yacht – 65, 90 or 100 meters long. The largest ship has the capacity to sleep 30 guests and 50 crewmembers. 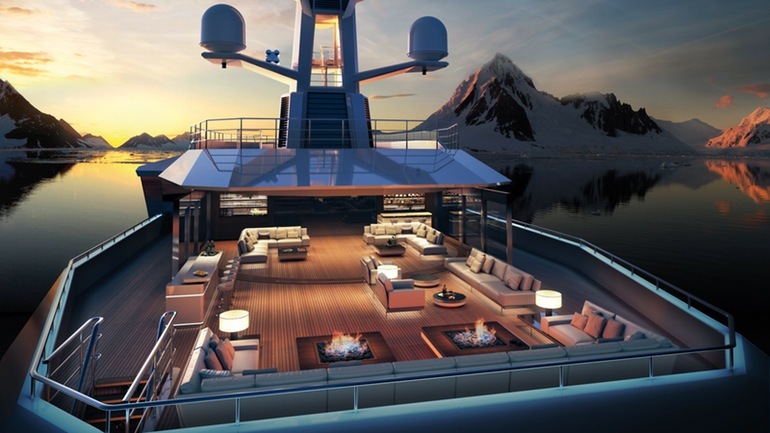 Although it’s sailing capabilities are impressive, the stunning design and features onboard of the mega-yacht is really what sets it apart from other yachts on the market. 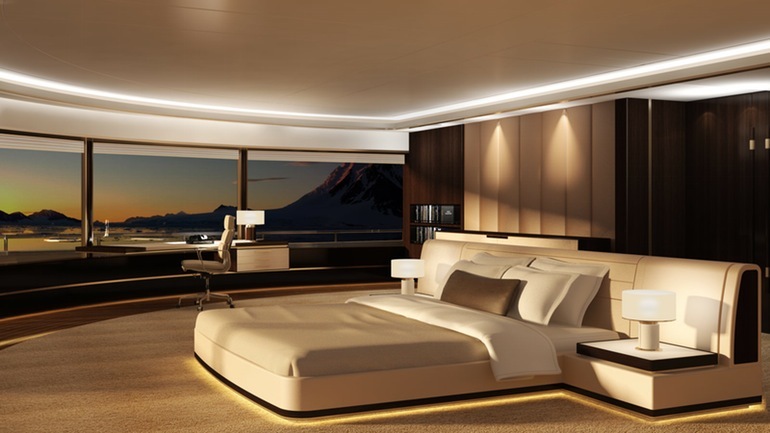 Some of the features include outdoor heated decks, a hot tub, a helicopter pad, storage for expedition and diving equipment and an observation longue, all luxuriously designed with a sleek and modern edge. How about the area to dock your smaller boat…on your bigger boat? But in reality, let us really break the ice by saying that for most of us this is just a luxury yacht to ogle at from afar…starting with this video.